Richard Hannon: "I loved the way Ivawood travelled. 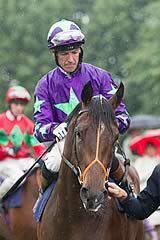 He's still a very good horse and hopefully will come back in May and win the Guineas." Ivawood's unbeaten record came to an abrupt end as Charming Thought claimed victory in a thrilling renewal of the vision.ae Middle Park Stakes at Newmarket. Richard Hannon's colt was all the rage to make it four from four on his Group One debut and the 1-2 favourite moved sweetly for much of the six-furlong contest, but Richard Hughes had to get serious with his mount when he hit the rising ground and Charlie Appleby's Godolphin runner emerged as a serious threat. The two fought to the line tooth and nail and it was 22-1 shot Charming Thought who passed the post a nose ahead in the hands of William Buick, providing the Godolphin team with its first Group One victory of the domestic season. Buick said: "All along I was sure I'd won. There were two great horses battling out the finish. This horse has done nothing but improve. It's a great training performance by Charlie. There's plenty to look forward to next year." 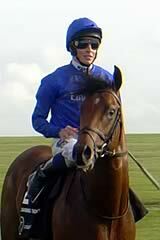 Appleby added: "It's great to get my first Group One in England out of the way. It was the last roll of the dice for us from Moulton Paddocks. "He's a horse we've held in high regard from the spring onwards. He just met with a setback in the spring, so we had to be patient with him and it's prevailed now. It was a bold decision by his Highness (Sheikh Mohammed) to supplement him on Saturday. "He's progressed through the year and we're delighted with the outcome. William said on better ground you'll see a better horse and he'll probably stay a mile. "He settled very nicely throughout the race and it paid dividends when he hit the rising ground. It was a very pleasing effort. We'll put him away now. That was always the plan. We felt we had a decent horse today but if he didn't handle the ground there's always next year." Hannon said of Ivawood: "He wasn't disgraced. He ran a good race. All credit to the winner. He's obviously a very good horse. "I loved the way Ivawood travelled. He didn't accelerate like he normally does, probably because of the ground more than anything else. He's still a very good horse and hopefully he'll come back in May and win the Guineas. "Our plan doesn't change. He's a big horse and we thought he'd be a horse for next year and we deliberately didn't give him too much this year. It's disappointing he didn't win, but it is by no means game over."